"There is no daily practice without some formal training; and there is no deep spiritual training without the mess of relational life. The two are one," says Michael Stone. This wise, accessible guide - now revised and updated - makes the spiritual and ethical teachings of the yogic tradition immediately relatable to our practice on the mat and in our everyday relationships and activities. 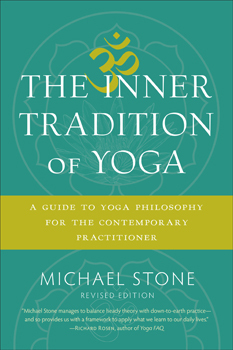 Stone draws from numerous disciplines - including Buddhism and psychotherapy - to provide an in-depth, completely clear explanation of yogic philosophy, along with teachings on how to work with the conditions of our life and fully appreciate yoga as a practice of being intimate with moment-to-moment reality.